22 S.D. 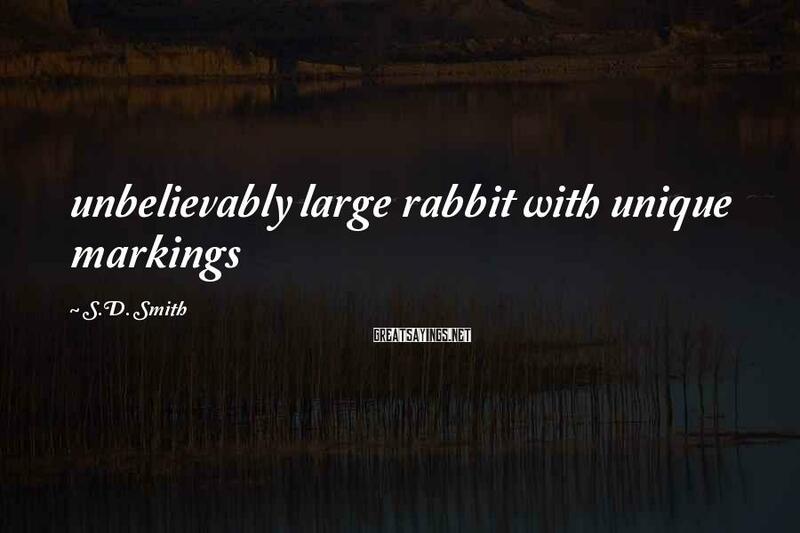 Smith Famous Sayings, Quotes and Quotation. 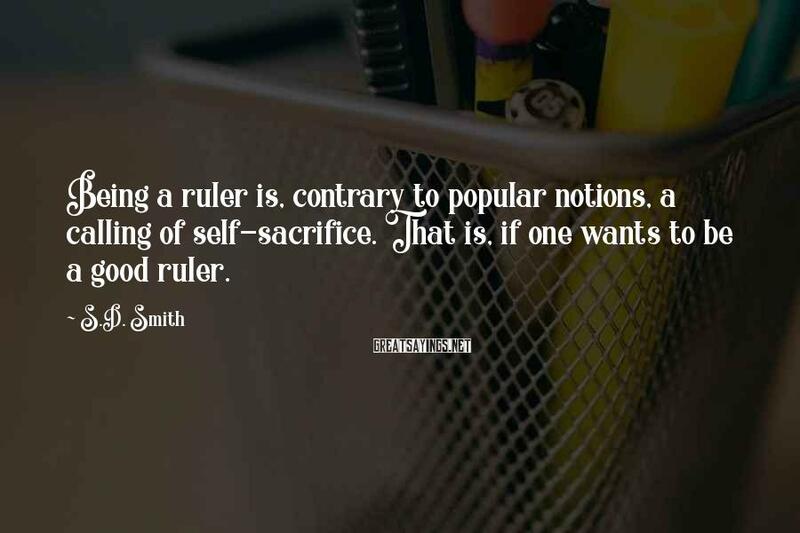 Being a ruler is, contrary to popular notions, a calling of self-sacrifice. 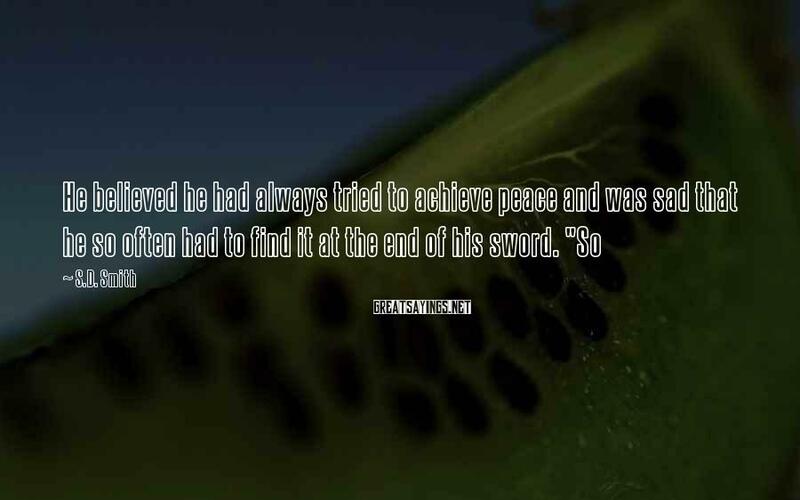 That is, if one wants to be a good ruler. All of life is a battle against fear. We fight it on one front, and it sneaks around to our flank." He paused, looked kindly at her. "Yes, Father. I understand." 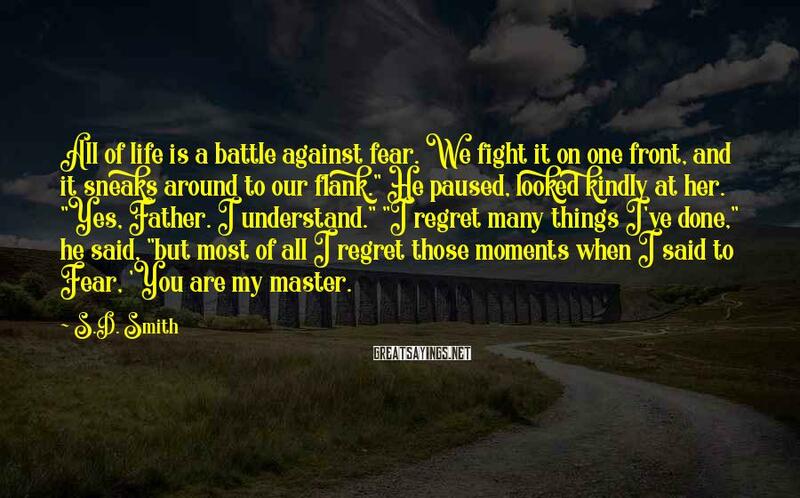 "I regret many things I've done," he said, "but most of all I regret those moments when I said to Fear, 'You are my master. 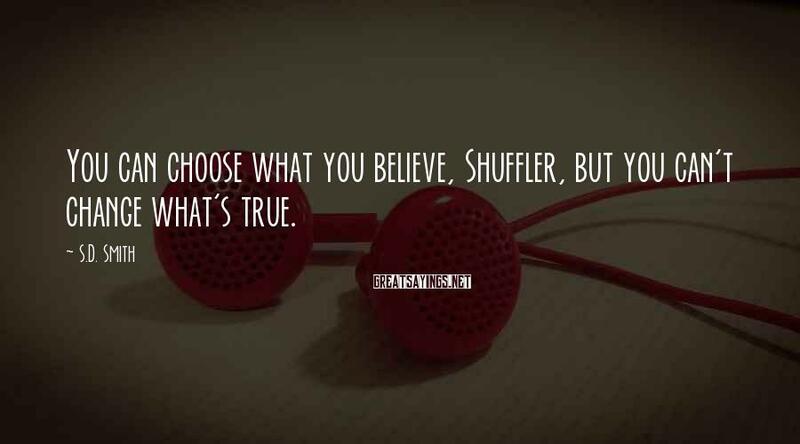 You can choose what you believe, Shuffler, but you can't change what's true. 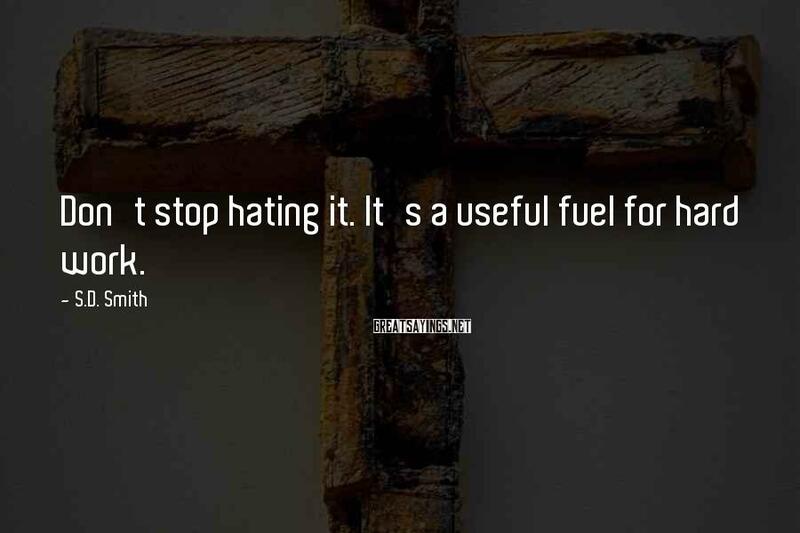 Don't stop hating it. 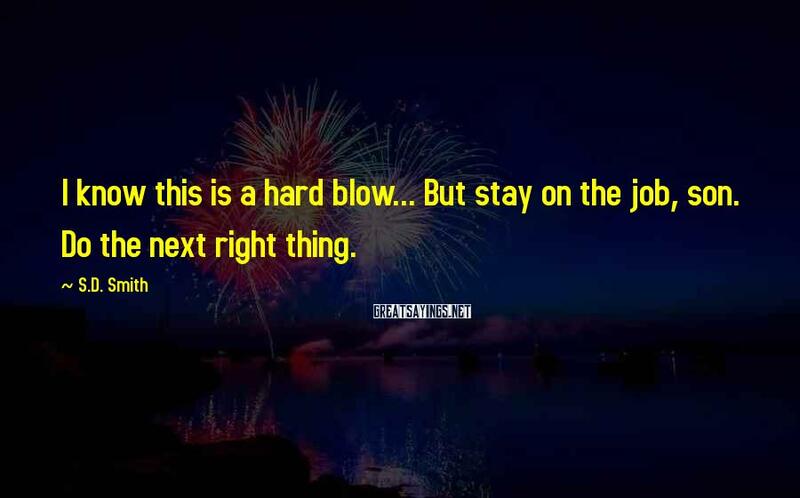 It's a useful fuel for hard work. 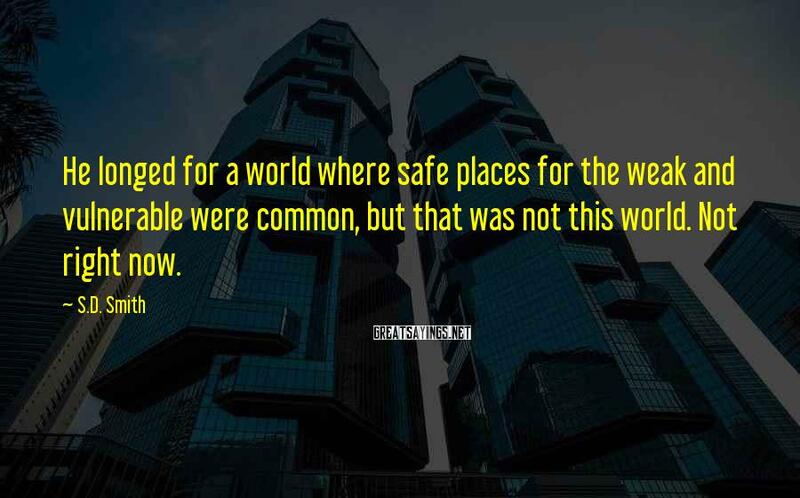 He longed for a world where safe places for the weak and vulnerable were common, but that was not this world. Not right now. 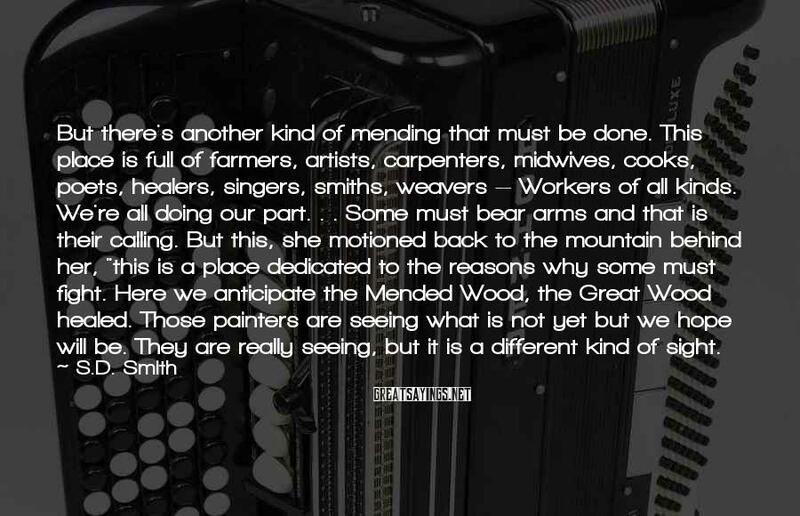 But there's another kind of mending that must be done. This place is full of farmers, artists, carpenters, midwives, cooks, poets, healers, singers, smiths, weavers -- Workers of all kinds. We're all doing our part. . . Some must bear arms and that is their calling. But this, she motioned back to the mountain behind her, "this is a place dedicated to the reasons why some must fight. Here we anticipate the Mended Wood, the Great Wood healed. Those painters are seeing what is not yet but we hope will be. 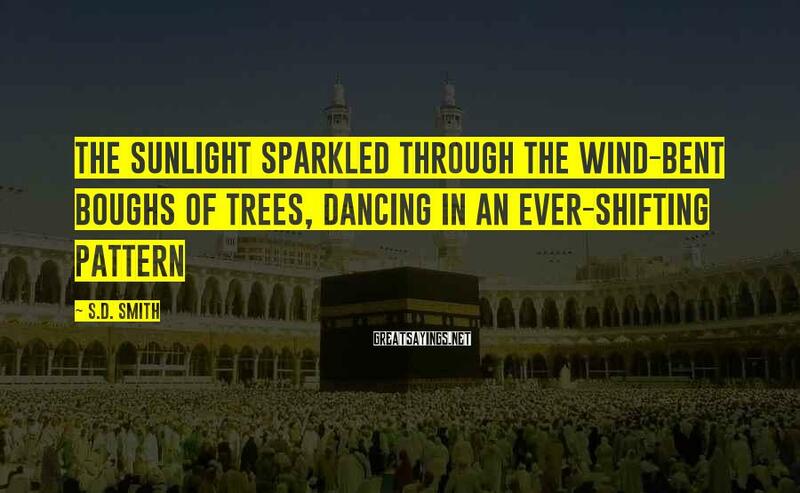 They are really seeing, but it is a different kind of sight. What is it, Father?" Picket asked as Mother tenderly took Jacks from him. 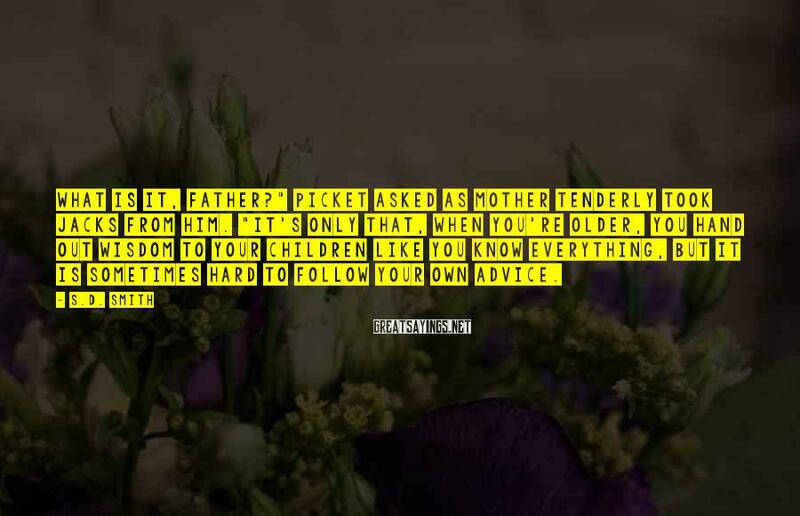 "It's only that, when you're older, you hand out wisdom to your children like you know everything, but it is sometimes hard to follow your own advice. I am afraid... 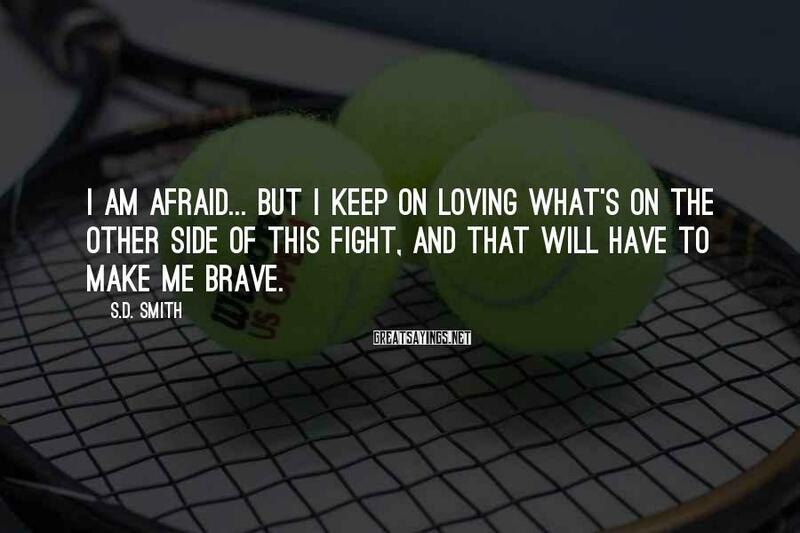 But I keep on loving what's on the other side of this fight, and that will have to make me brave. 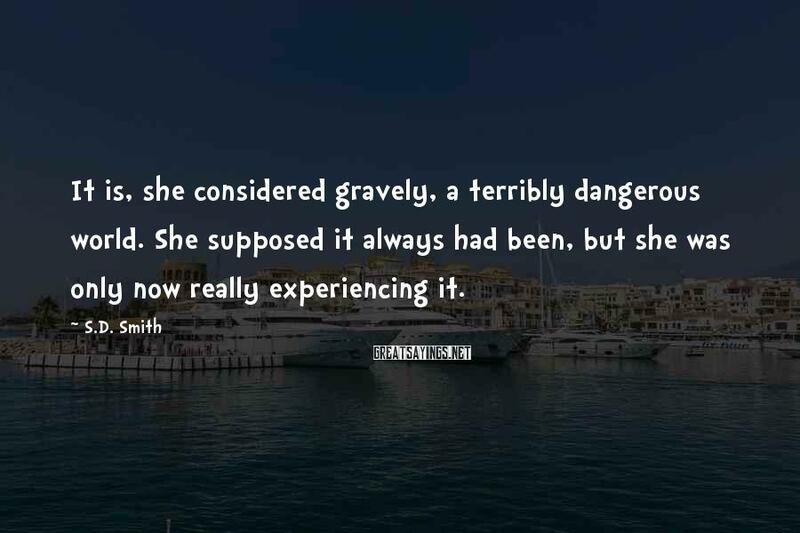 It is, she considered gravely, a terribly dangerous world. 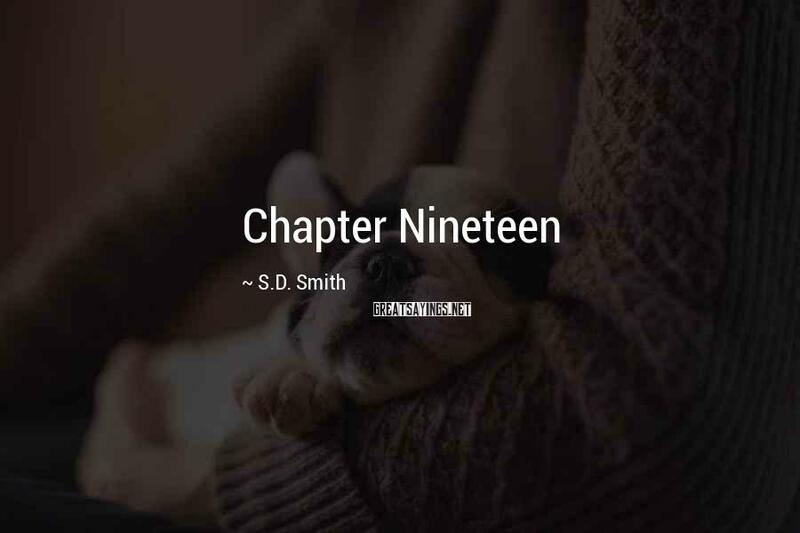 She supposed it always had been, but she was only now really experiencing it. I know this is a hard blow... But stay on the job, son. 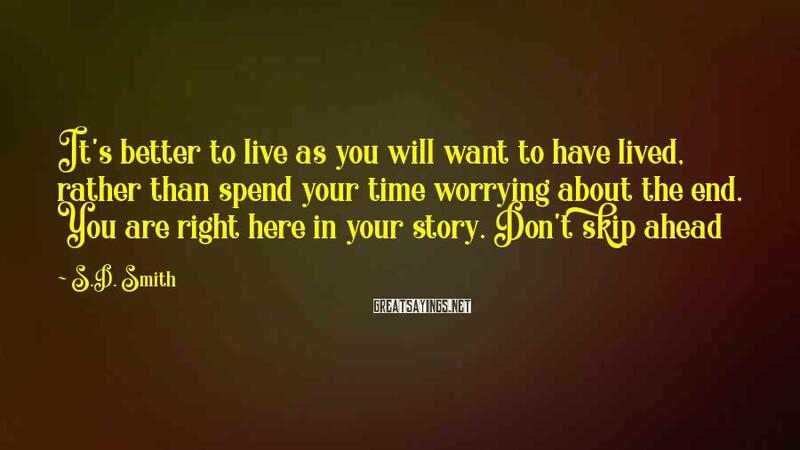 Do the next right thing. 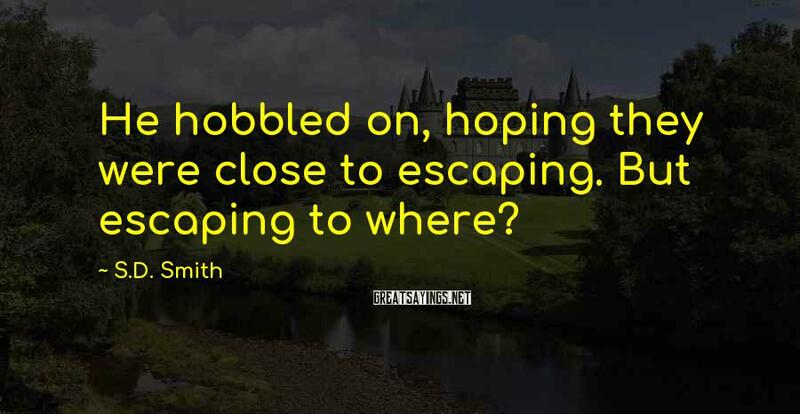 He hobbled on, hoping they were close to escaping. But escaping to where? This is a place where people make and are made. You are what you do. 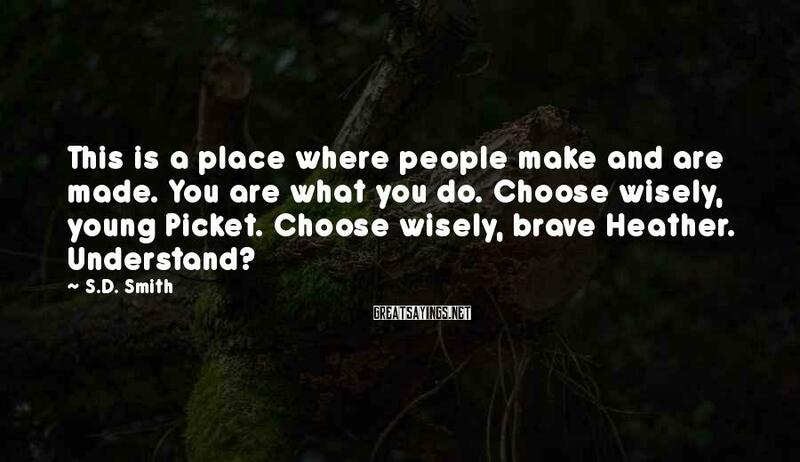 Choose wisely, young Picket. Choose wisely, brave Heather. Understand? 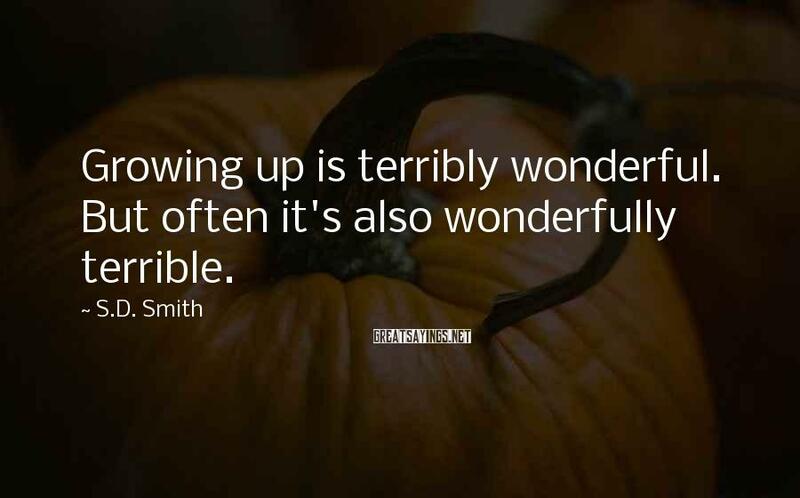 Growing up is terribly wonderful. But often it's also wonderfully terrible. 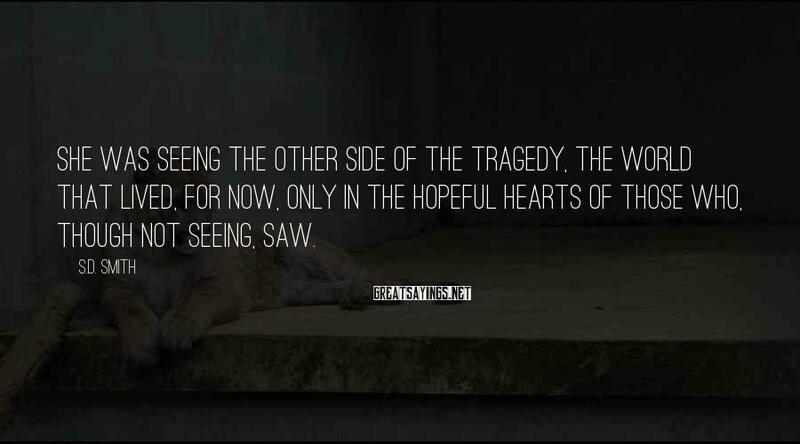 She was seeing the other side of the tragedy, the world that lived, for now, only in the hopeful hearts of those who, though not seeing, saw. 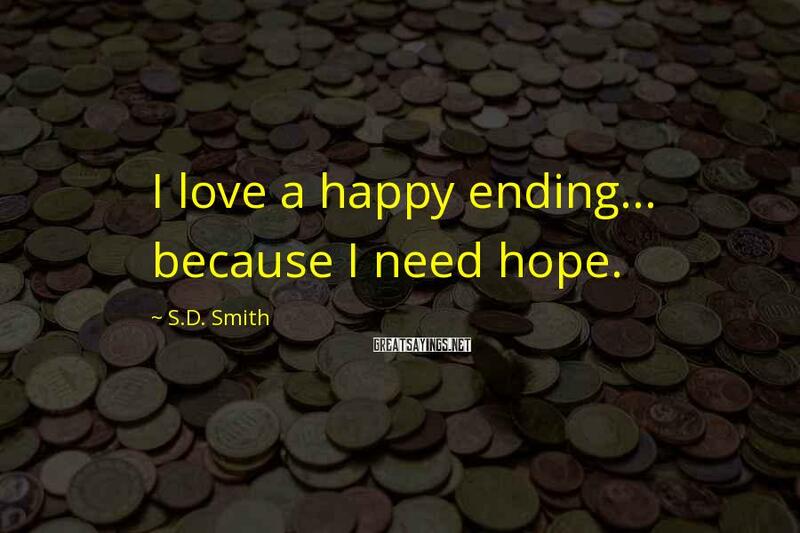 I love a happy ending... because I need hope. The Green Ember burns; the seed of the New World smolders. 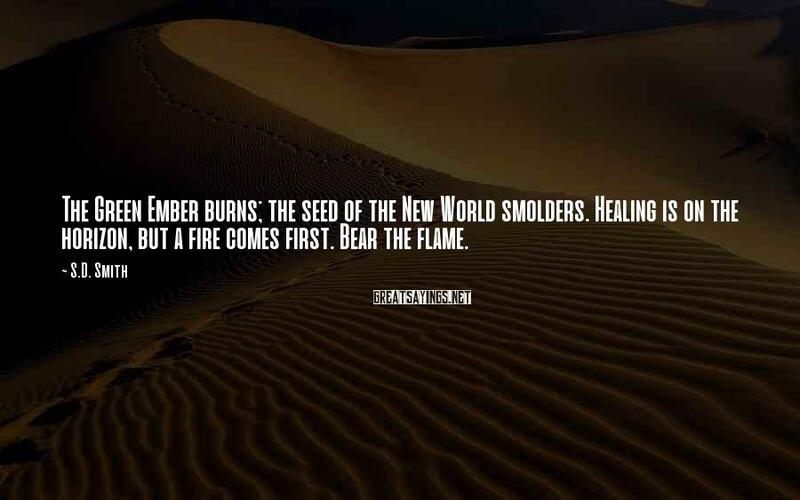 Healing is on the horizon, but a fire comes first. Bear the flame.